If you're looking for a Side x Side, Polaris® is the only way to go. From the sporty RZR® to the workhorse that is the Ranger®, Mettler Implement has the UTV to fit all your needs. Visit either of our locations in Mitchell or Menno, South Dakota and let our helpful staff find your side by side today! There are some companies within the powersports industry that have a knack for getting things right, like Polaris®. After years of perfecting its craft, Polaris® has successfully become an industry leader with several different products to choose from. With a solid commitment to innovation and improvement, it’s hard to find a company that does it better than Polaris®. One of the most popular product lineups includes the legendary Polaris® side by sides. These amazing machines are built to handle the farm, the trail, and any place else that’s off the beaten path. If you’re ready to check out our awesome selection of Polaris® UTVs, visit Mettler Implement today! We have two convenient locations in Mitchell and Menno, South Dakota. We also proudly serve Parkston, Tyndall, Freeman, and Wessington Springs. If you’re looking to unleash loads of power on width-restricted trails, you should consider the Polaris RZR®. This incredible UTV provides you with superior off-road performance. You can take it out as a true side by side or open things up with the 4-seat configuration. Enjoy thrills on the trails or in the desert. You can even go rock crawling or mudding. No terrain is too rough for this Polaris® UTV. There are plenty of options and upgrades available so you can further specialize your RZR® to match your style. 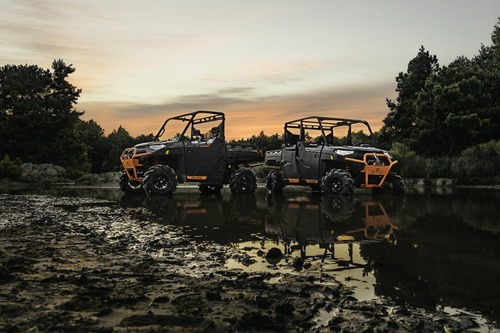 The possibilities are truly endless with this Polaris® side by side. 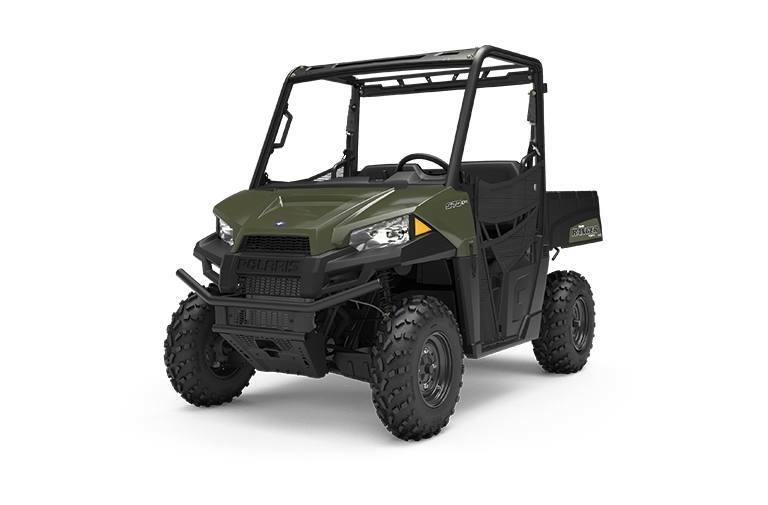 For rugged outdoor utility that’s highly powerful and versatile, look no further than the Polaris Ranger® UTV. You’ll be able to choose from 2-seat or 3-seat configurations. If that’s not enough, you can go with crew seating that holds up to six riders. The Polaris Ranger® is easily the most hardest working utility side by side you’ll find on the market. Whether you’re deep in the woods or right in your backyard, this Polaris® UTV has been trusted by homeowners, farmers, and hunters for over a decade now. This level of power provides you with the confidence you need to get the job done. No task or trail is too challenging for the Polaris General™. This machine combines the hard-working utility of the Ranger® with the unbeatable performance power of the RZR®. Take your adventure to new and improved heights and enjoy the ultimate off-roading experience. Choose between a 2-seat and 4-seat configuration. If you’re all about the adrenaline rush, you’ll love the backyard and backcountry utility you get with this Polaris® UTV. If you’re more focused on getting work done, the Polaris General™ will make you proud with its impressive towing capability, massive payload capacity, and heavy-duty dumping box. What are you waiting for? Stop by Mettler Implement in Mitchell and Menno, South Dakota today to check out our Polaris® side by sides for sale. We’re conveniently located near Parkston, Tyndall, Freeman, and Wessington Springs. We’re proud to also offer service, parts, and storage to our customers.